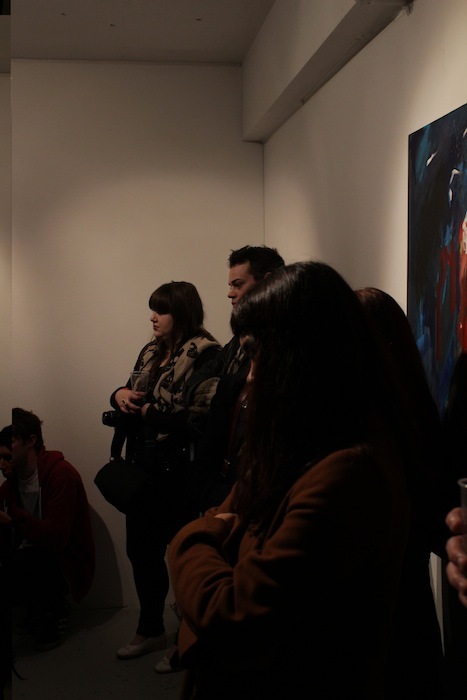 At each SAVORR event a featured artist or collective was shown alongside an open submission show, the featured artists exhibitions can be seen below, with films from each of the opening events where available. 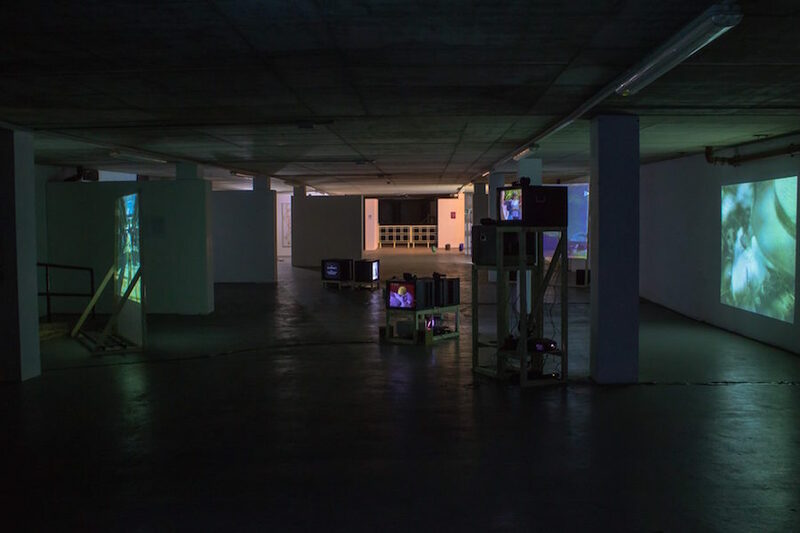 Selected for the Featured Artist Project, Goldsmiths graduates, Ben Judd and Dave Charlesworth (Director of South Kiosk gallery, London), present 'Ensemble' which includes video works from noteworthy artists and Turner Prize winners. 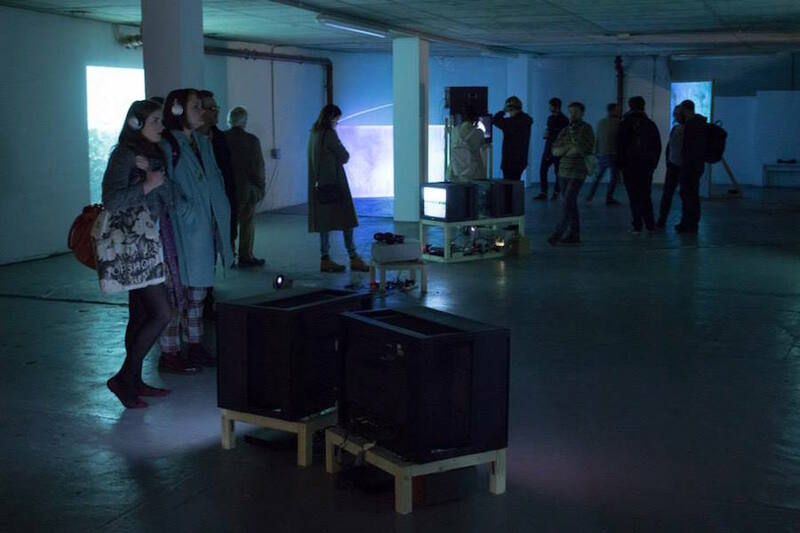 The exhibition traces an historical arc of six decades of film and video produced by specific cultural practitioners in an installation originally conceived and choreographed in 2013 by the artists for Backlit, Nottingham, and later toured to The Swedenborg Society, London. 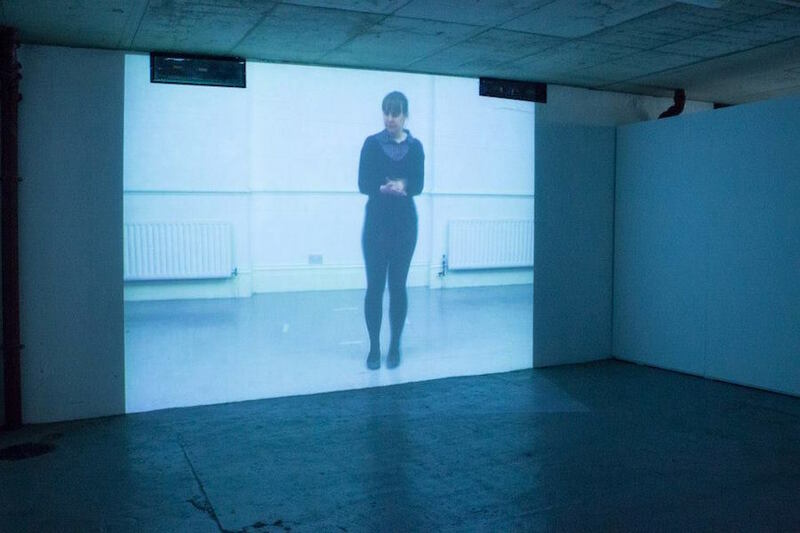 'Ensemble' investigates the use of movement and dance within the production of contemporary art, examining the process through video, documentation and live work. 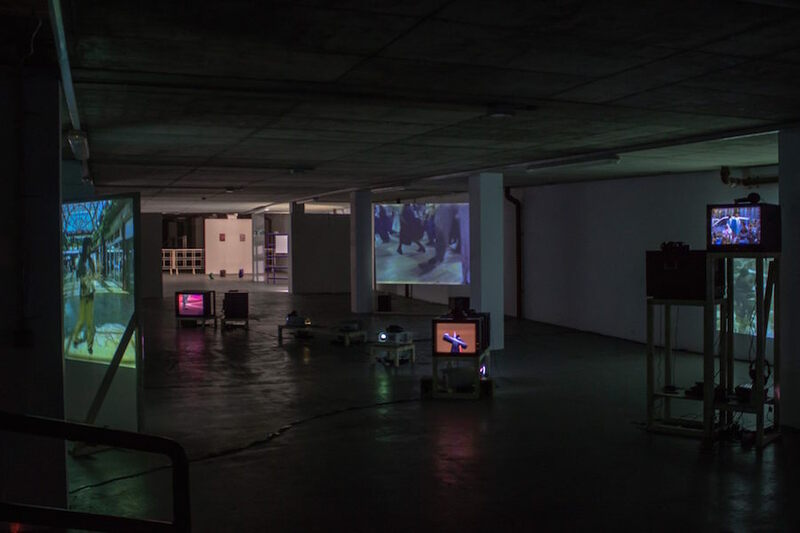 'Ensemble' includes works by Turner Prize winners Gillian Wearing, and Mark Leckey, influential experimental filmmaker Maya Deren, contemporary artist Lucy Clout, 1930s musical choreographer and filmmaker Busby Berkeley, as well as Sarah Baker, George Gurdjieff, Yvonne Rainer, Jim Shaw, Jonathan Trayner, Becca Voelcker, and Richard Whitby. Try to picture the inside and outside of a form simultaneously. Divide each of the images, and then realign them. For SAVORR XI Flora produced a new body of work that brings together a series of images and objects to form a 'diagram' in the exhibition space. The piece explores the impossibility of holding objects in opposing states concurrently. Flora Parrott studied Fine Art at The Glasgow School of Art and went on to graduate from the Royal College of Art with a Masters in Printmaking in 2009. She is currently based in London and lecturing on the BA and MA Fine Art Course at Norwich University of the Arts. Recent shows include 'Swell & Subside' with Alan McQuillan at Public House Projects and 'The Cosmos' residency show at Wysing Arts Centre. Flora is represented by Tintype Gallery, London. The Ear Drawing is a hopeful landmark, a carbuncled stone. The Ear Drawing is not speaking or seeing. The Ear Drawing is the mouse upon whose back we grew something that did not belong. The Listeningking is a portrait of my lover, a joyous symbol. The Listeningking is a fragment, a piece of something else. It is a painting by my friends. The Listeningking is a sundered head upon a celebration flag. teaches BA Painting at Cardiff School of Art & Design. In 2009 she had a solo show entitled 'Love & War' at Outpost Gallery, Norwich and attended a residency at Wysing Arts Centre. 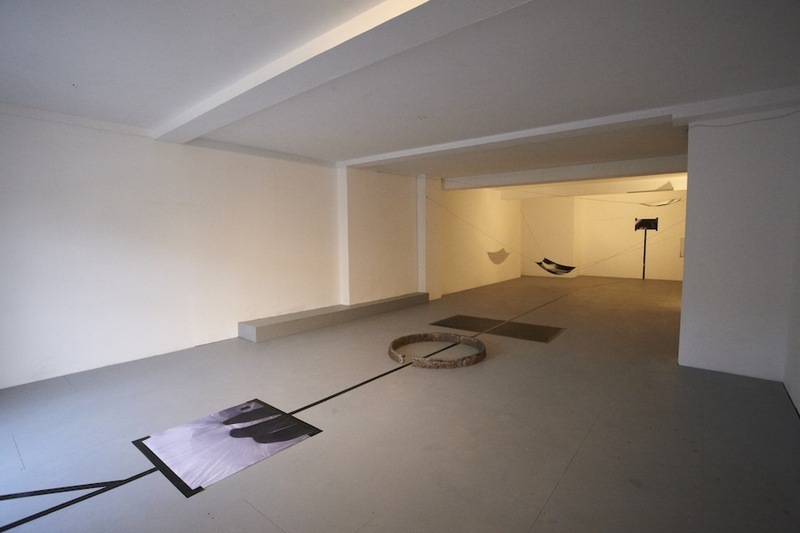 Her residency concluded with the exhibition 'Wysing Arts Contemporary: Expanded' and Conochie exhibited there again in 2012 for the group show Slipped. mechanical processes, as his intricate, labour intensive drawings extend into exaggerated geometric patterns. imperfections that occur during production, as duplicates of the same drawing rotate at different speeds. The imperceptible flaws create a continuous constantly shifting loop without any discernible beginning or end. 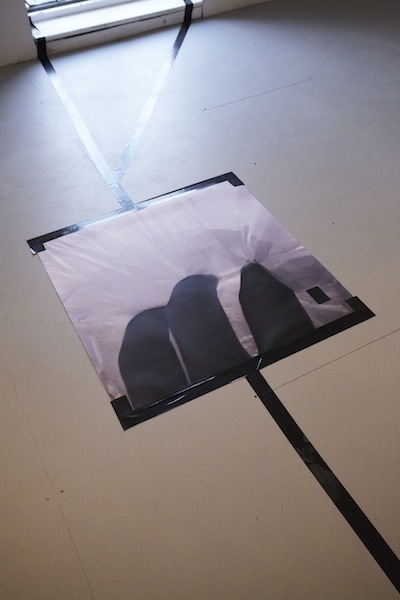 SAVORR VIII presents new work from London based artist and art theorist Fiona Livesey. In this new and site specific work created exclusively for SAVORR, Livesey employs the intangible properties of light, film and scent to encourage a directly visceral interaction with the work. This rejection of an exclusively retinal art is contrasted and made evident by the presence of static sculptural elements that add additional layers of experience to the piece. Blatant visual references to the space’s socio-historic context are contrasted with more orthodox formal abstraction in a manner that corrupts the straightforward reading of their form. This becomes manifest within the work as a self-conscious loss of open narrative, highlighting the impossibility of imposing a universal reading of a work upon its audience. In this respect the artist offers the work up to its viewers for interpretation. Fiona Livesey graduated from Norwich University College of the Arts in 2010 with first class honours in Visual Studies. In September this year she shall commence an MA in Art History at The Courtauld Institute of Art, London, studying Modernism After Post-Modernism under the tutorage of Dr Gavin Parkinson. sculpture and performance in his investigation into the aesthetics of sincerity. Interview with David Raymond Conroy for James Hassall on Future Radio. now lives and works in London. 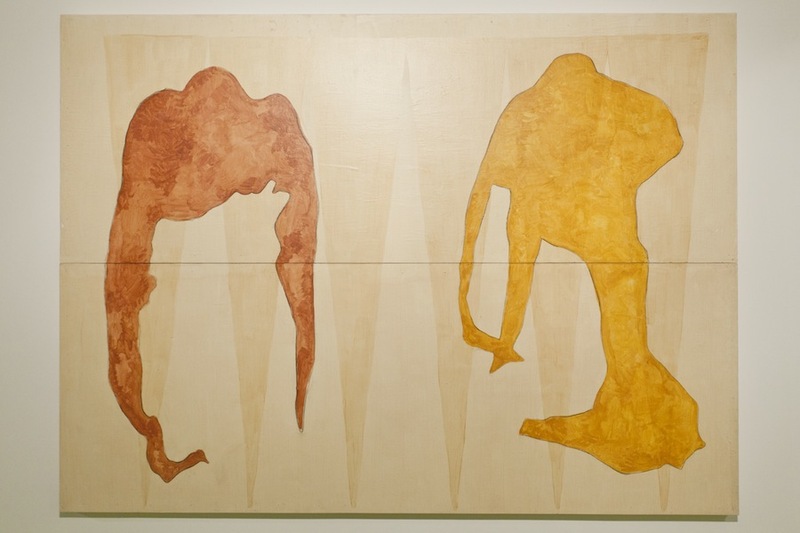 exhibition A Plea for Tenderness at Seventeen Gallery (both 2012). I MOVE ON SO QUICKLY. SO SAVE THE PEAR THEN. PRESENTS ITSELF AS AN OPPORTUNITY TO CUT UP A FAKE PEAR AND EXPOSE IT TO WHOEVER IS WATCHING. For his exhibition with Savorr, Patrick Coyle will develop new works and a performance resulting from a recent encounter with a plastic pear in Florida. Patrick Coyle (b. 1983, Hull, UK) is an artist and writer. Recent solo performances include ‘Old Language’, Oxford Central Library; ‘It Said’, ANDOR Gallery, London; ‘Hullture, City of Cultrue’, Ferens Art Gallery and City Centre, Hull; ‘Battlesea Bottling Station’, Battersea Park and Pump House Gallery, London; ‘I couldn’t possibly… without…’, Whitechapel Gallery, London; ‘She Couldn’t Imagine What It Looked Like’, Kunsthal Aarhus, Denmark and Royal College of Art, London; ‘Walking Directions from Unknown Road’, Norwich Castle Museum and City Centre; and Only Reference, Saison Poetry Library, Royal Festival Hall, London. Recent publications include The Cambridge Literary Review (Issue 8/9); A Circular (2 and 3); Invisible Fabrick (Norwich); Dear World & Everyone In It, New Poetry in the UK (Bloodaxe Books, Northumberland,) and his book /pe(? )r/, was published by Wysing Arts Centre in 2013. 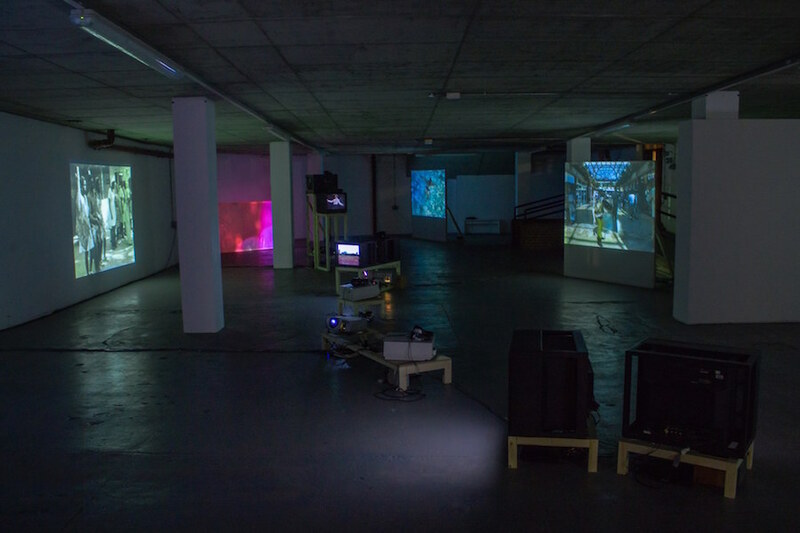 Coyle is currently a resident at The Hub, Wellcome Collection, London (2014-2016) and a member of The Disembodied Voice research group. you can possibly take, as much freedom and risks you can possibly handle. Isabel Gylling and Matthew Ferguson have been working together since 2009 on a variety of projects. 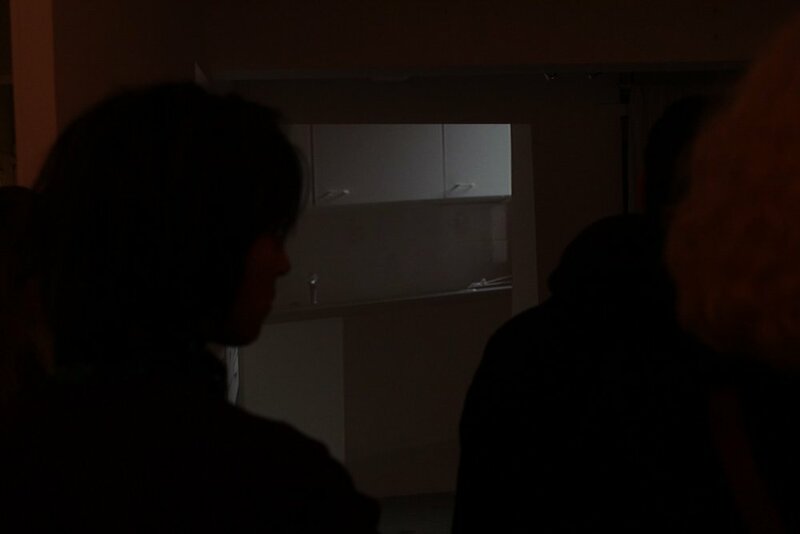 The work presented in this exhibition is part of a greater investigation into space, social situations and community.